As Bhutan observed Zhabdrung Kuchhoe or the death anniversary of Zhabdrung Ngawang Namgyal yesterday, I went to Paro with my senior friend Sanga Dorji and his family to offer prayers at Kyichhu monastery and Jangsabu Lhakhang. Zhabdrung Kuchhoe is observed as an auspicious day to visit temples and offer prayers because it was on this day the great Lama, Zhabdrung Ngawang Namgyal was believed to have died. Zhabdrung was a great spiritual leader who united Bhutan in the 17th century and blest it with everlasting peace and harmony. His arrival in Bhutan from Tibet in 1616 was a boon to the people of Bhutan in many ways. It was he who united the country and streamlined both political and religious systems that could guarantee absolute peace, harmony and security for the Bhutanese people. So, he is worshipped as a great spiritual leader who brought this country to a new limelight. On such an auspicious occasion, people in Bhutan go to different sacred sites, temples and monasteries to offer prayers and light butter-lamps in his honor and for the wellbeing of all sentient beings. I was lucky enough to receive the invitation from Mr. Sanga to join him. 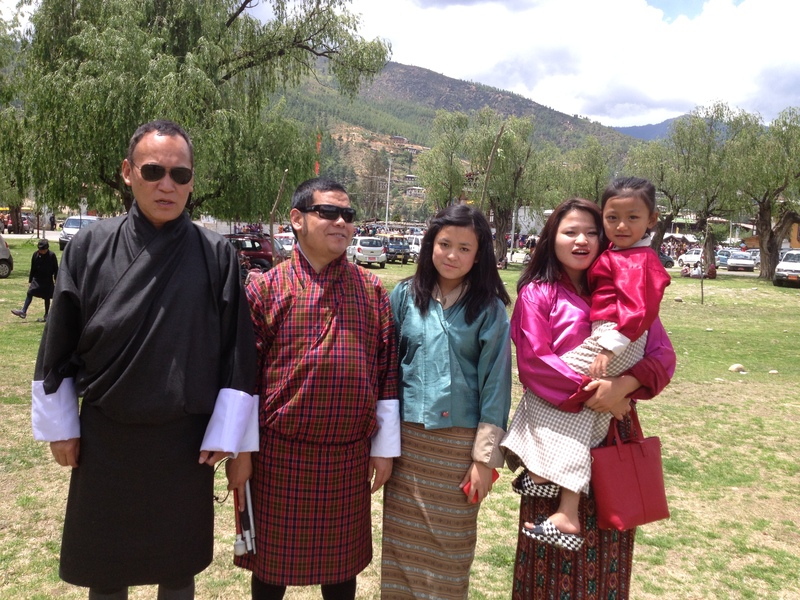 I was happy to be part of them on this holy trip to Paro. We started from Thimphu at around 9:30 in the morning and although one of the tires got punctured by a nail on the road near Changjiji, we had a smooth ride for the rest of the day. Throughout the journey, we enjoyed a lot chatting and laughing at jokes we shared. After stopping for a while at Ugyen Pelri Palace, we headed towards Drugyal looking for an ideal place to have our potluck lunch. By then it was already raining but we managed to get a safe place under a cluster of trees. We sat down under the trees and had our lunch. Mr. Sanga’s wife had prepared and packed delicious lunch for all of us. After having our food, we headed towards Kyichhu Monastery. We prostrated before the statue of Buddha Shakyamuni and other important treasures of the Lhakhang. We offered prayers. I know this Lhakhang was one of the 108 religious monuments built by the Tibetan ruler Songtsen Gampo in the 7th century around the world. The stupa in front of the Lhakhang is believed to have been built at the same time when the Lhakhang was first built. The Kenyer or the caretaker of the Lhakhang told us that some people believe the original Lhakhang was once destroyed without a trace by fire and it was this stupa which actually indicated the original location of the Lhakhang later. So, this was how the Lhakhang could be rebuilt. He told us that even when the new extension of the Lhakhang was built some years ago, some relics could be discovered from the earth during escavations. 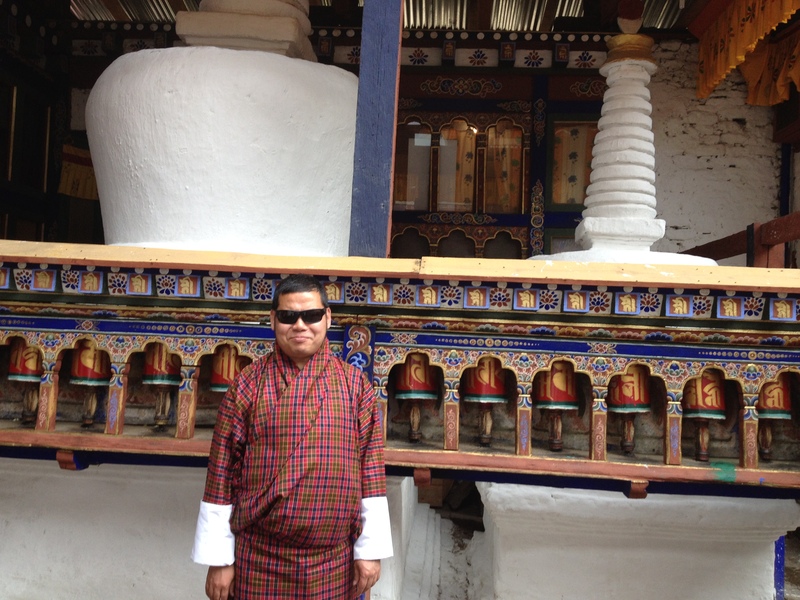 This shows that the original Lhakhang could have been damaged by fire once upon a time. “But there are people who argue that the Lhakhang never met such a catastrophic fate” the caretaker told us. Another mystery of this Lhakhang is that the two orange trees before the Lhakhang are believed to bear fruits throughout the year but unfortunately, we couldn’t try to get one. Then we went to Jangsabu Lhakhang, our main destination. Kyichhu Lhakhang was not in our initial plan but it was me who suggested that idea. After stopping near Rinpung Dzong, we walked down for a few minutes to Jangsabu Lhakhang. 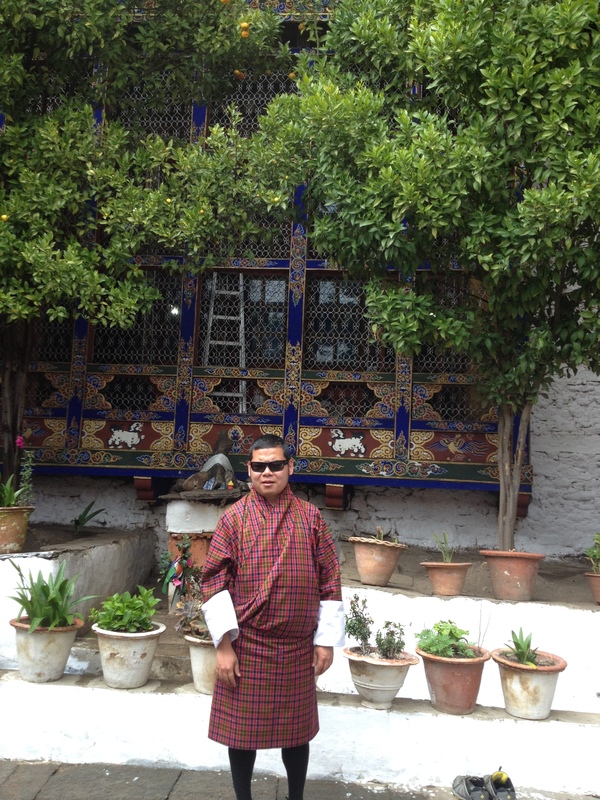 We were greeted by the caretaker of the Lhakhang and took us inside. There were monks performing rituals. We prostrated in the direction of the main statue of Buddha and received blessings from the holy scripts of Kanjur. We made a round and took a sip of holy water. The caretaker explained to us that Jowo, the main statue of the Lhakhang is believed to have talked on two occasions when it was brought from Tibet centuries ago. Firstly when the people carrying him could not pull him up a ravine and decided to dismantle it, it's said that it requested the men to take him from the side of the ravine. Then when they reached the present location, it seems nobody could drag it further. It was supposed to be installed in the nearby Dzong but it could not be moved even a single inch. So, when the people requested if they could dismantle him, it seems the statue said he was destined to remain there and requested them to leave him there. It is said that three days after, the Dzong in which he was supposed to be installed caught fire and vanished. So, this Lhakhang was built for this Jowo. After listening to the mythical story, we were escorted into a room where we were served tea and Dresi (special dish made with rice and butter). After the treat, we left the Lhakhang and started our journey back to Thimphu. It was a very memorable day for me. I feel I could spend at least this holy day meaningfully. It has been quite sometime since I couldn’t visit any holy place. So, I am thankful to Mr. Sanga and his family for this wonderful opportunity. Hi Rima, great to know that u had been to Kyichhu before..... This was my second visit. It was a lovely experience..... Thank you for the comment.